While we always provide our patients with the best care from compassionate dentists, some are simply afraid of the dentist. It’s understandable, and not uncommon. That’s why we offer Oral Sedation Dentistry. What’s that you ask? Oral Sedation Dentistry uses medication to aid patients in relaxation at their dental appointments. In most cases, the medication is a tiny blue pill that you take before your appointment with the dentist. The pill allows for moderate sedation, meaning you wake up feeling refreshed after your procedure with a beautiful and healthy smile. If your interest is piqued, read on for 3 reasons to consider Oral Sedation Dentistry. 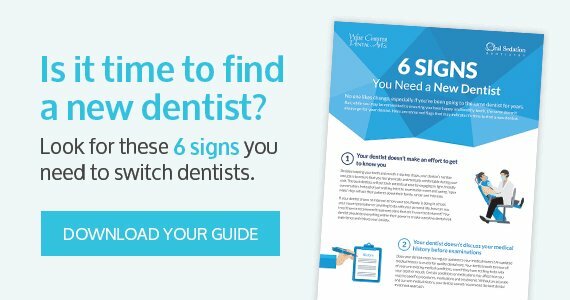 Are you someone who’s a little intimidated by the dentist? It could stem from one negative experience, or even a general fear of needles and noises. Or maybe you have an intense gag reflex that can make an appointment challenging and uncomfortable. These reasons are perfectly good reasons to use oral sedation. 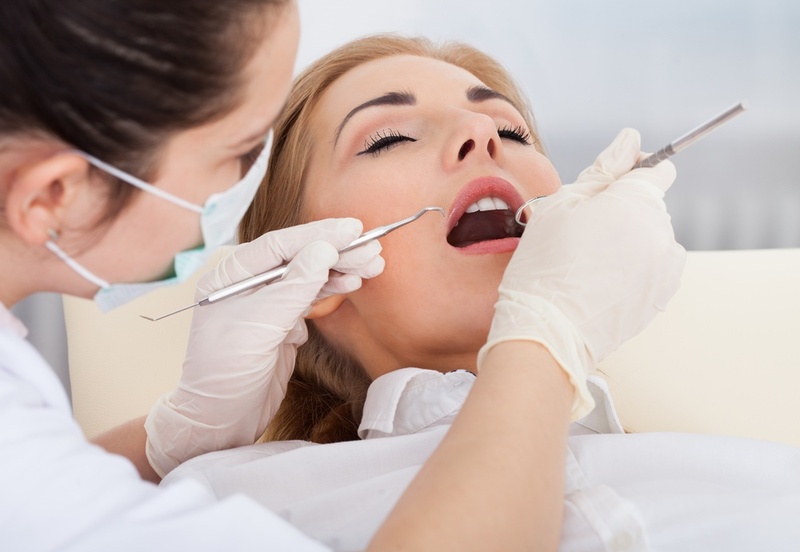 If you need an extensive amount of dental work or cosmetic dentistry done and have a busy schedule and need it done all at once, sedation dentistry is perfect for you. Many patients having cosmetic treatment opt to have sedation because the visits can be quite long. With sedation, not only can you rest while getting the dental treatment you need, you can also save time by having extensive procedures done in one appointment. Disclaimer: Since there are inherent risks with anesthesia, those who have certain medical conditions (sleep apnea, obesity, etc.) should talk to their doctor first before undergoing procedures with Oral Sedation Dentistry. Patients also find that the level of post-treatment soreness is greatly reduced by Sedation. This is perfect for anyone receiving long and/or complex dental procedures that can cause trauma to the jaw. If you can relate to any of these reasons (or have one you don’t see listed), you’re a good candidate for Oral Sedation Dentistry. Because oral sedation is a more complex technique, dentists must undergo a program in deep sedation to qualify themselves as someone who can provide oral sedation. Since the team at West Chester Dental Arts started doing Sedation Dentistry over 15 years ago, they have been able to provide dental care to hundreds of patients who were not receiving care mostly due to fear. West Chester Dental Arts has been able to help these people go from a life of pain and discomfort to a life where they can smile with pride and eat and chew without concern. If Sedation Dentistry is something you feel you can benefit from, we want to extend a personal invitation to come in for a free sedation consultation and a full mouth series of X-rays – a diagnostic tool necessary for evaluating your dental treatment. The staff here looks forward to answering any questions you may have and helping you wipe away your fears and discomforts.